Glass Showroom. Glass Fusing. Leaded Glass. Stained Glass. Mosaic Glass. We offer classes for every skill level by some of the best instructors! 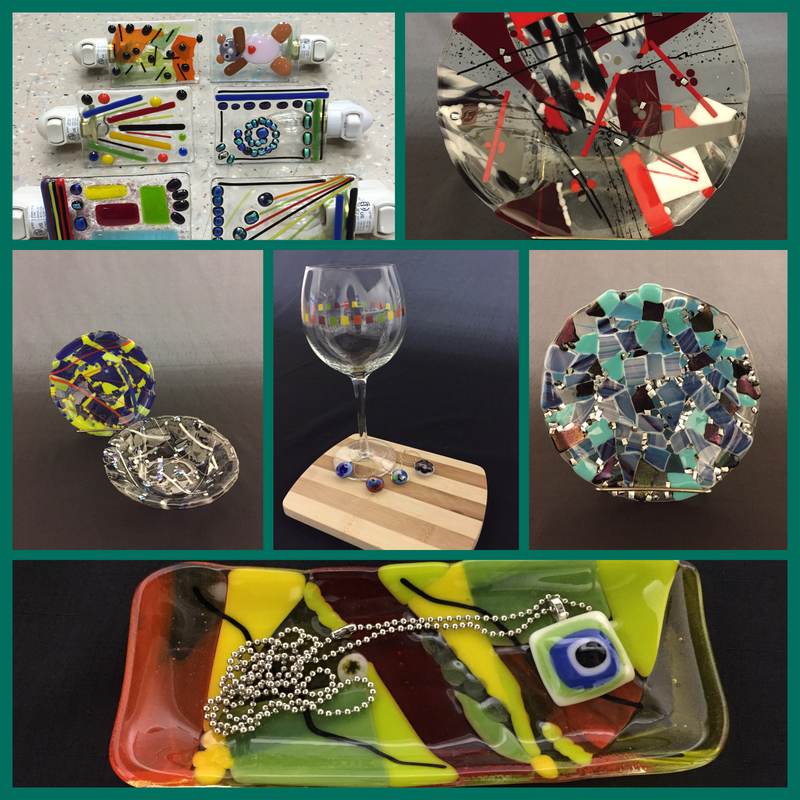 We offer a variety of fused glass workshops all designed for beginners. All materials are included in the prices. FUSED GLASS WIND CHIME WORKSHOP – 16+ yrs. All our classes are fun, but they’re even more fun with friends. Click to view all our events and plan to join as a group. A shared experience that you will all cherish for years. I thoroughly enjoyed the Beginning Stained Glass class with Yoli. She is patient and encouraging and made the class fun! I definitely recommend this class to anyone who wants to let loose their artistic side. You will amaze yourself! This place has the kindest service and a huge variety of glass and supplies in stock. I decided to take the Beginners Stained Glass class as well as the Fused Glass classes. Ms. Yoli did not disappoint. 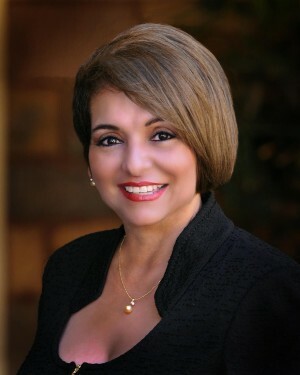 She has been patient with me and I recommend any of the classes she teaches!! From jewelry classes to the trinket tray session, my group of friends and I are always in for a great time. We all always end up loving our unique, one of a kind pieces. I highly recommend McAllen Stained Glass. My husband and I just love to shop at this beautiful, cheerful stained glass gallery. They have helped us with many of our glass projects. We love and thank them. You’ve found the Rio Grande Valley’s one-stop site for all things glass. 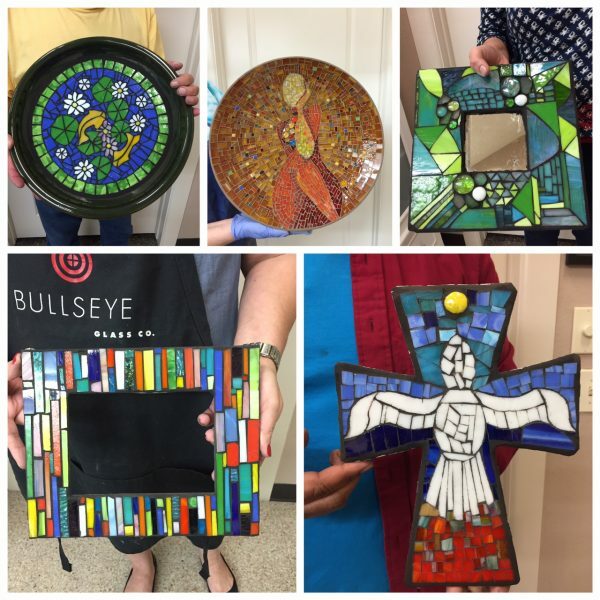 Whether it’s a stained glass panel, a beautiful art piece or a place to learn how to work with glass as an art medium McAllen Stained Glass has what you’re looking for. Look around our site and feel free to contact us for any questions you may have. Come connect with us and your classmates. Say hi and make new friends!